If you are anything like me, vegetables might not be the favorite thing to consume in your diet. We all know they are good for us, but sometimes they just aren’t as appealing as some other things out there. Luckily, there is a solution looking for those who want to enjoy the benefits of a diet packed with veggies without having to consume an endless amount. It comes in the form of the superfood supplement called Athletic Greens! 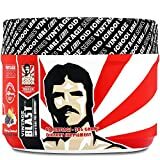 I was first turned on on to this awesome product by the noted fitness and health expert, Tim Ferriss. Athletic Greens is a next generation product developed to provide a complete superfoood solution in a single serving. 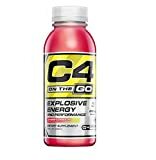 Comprised of 75 active ingredients, it is chock full of useful items including Grapeseed Extract, Organic Spirulina, Rhodiola, Wild Bilberries, Gree Tea Extract, Cocoa, Reishi Mushroom, and much more. While it is packed full of vitamins, it’s important to also consider what it does not contain. In this case, there is no Sugar, Yeast, Egg, Nuts, Gluten, or GMOs. That means not only are you getting a lot of useful vitamins, its also the perfect supplement powder for just about anyone. 1. It is a complete source of vitamins and minerals that can be absorbed in sufficient quantity and quality through the power of freeze-dried fruits, vegetables and plants. 2. It produces digestive enzymes which break down the foods you eat to facilitate nutrient absorption. Atletic Greens contains naturally occurring enzymes like bromelain and papain which can assist with protein digestion, and ginger for its well known benefits. 3. It is a complete liver formula which helps process and remove toxins, and can also aid in fat loss. Milk thistle aids and protects the liver as it filters and flushes toxins from our bodies. The natural diuretic properties of dandelion root aid this elimination process. 4. It contains an active mix of Probiotics And Prebiotics. Gut flora is a game-changer when it comes to immune system support and Athletic Greens use non-dairy sources of lactobacillus acidophilus and bifidobacterium bifidum, freeze-dried for stable shelf life. 5. It is a source of Adaptogens, an amazing class of herbs that can combat stress and fatigue. Ashwagandha has been proven through science and Ayurvedic medicine to fight the effects of the stress y lowering cortisol levels, and as a result, slow the aging process. Rhodiola also encourages lower production of cortisol, while aiding normal sleeping patterns and lowering everyday mental and physical fatigue. One packet of Athletic Greens will be good for 30 servings. While there is many nutritional benefits to the drink, it does tend to be on the pricey side, so keep that in mind. Still for the nutritional value you receive, the cost is well worth the price. When it comes to taste, Athletic Greens delivers on this count, as well. One might expect a concoction of this nature to taste like drinking grass. However, the developers have countered this by adding both a hint of chocolate and bit of ginger which offers a smoothing effect. The result is a refreshing blend of green goodness. The drink itself mixes easily with water, but can also be used in smoothies and with various juices to get every ounce of healthy benefits from a single serving. 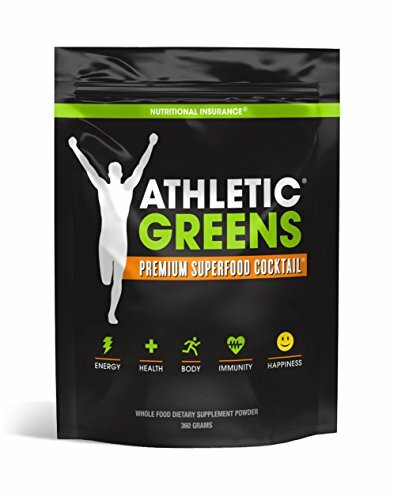 In the end, if you want to make sure you are not missing out on key vitamins and micro-nutrients, Athletic Greens is a great way to cover all your bases. Not only does it taste great, but it’s easy to store and take on the go, mixes easily, and comes in useful individual pouches. I have been using this as a staple of my diet for the past three months, and I think this has strongly contributed to superior energy levels. I would highly recommend this superfood cocktail to anyone looking to round out a healthy diet.